Did you know that nothing we sell in the deli comes in a box, bag or bucket? Every salad, side dish, entrée and sandwich is made from scratch, daily, with fresh ingredients found in our store. Did you know that if you don’t cook at home we have you covered? Our ready to heat and eat meals and sides are all prepared fresh daily. So whether you are craving Italian, Meat Loaf, Chicken or Beef and Noodles, or any of our freshly prepared sandwiches or sides, you can put together an entire meal without the preparation! If you have an event coming up or are hosting a party, come to Haddad’s Market for all your party needs. Our finger foods are super easy to pick up and eat while your guests mingle. Order one of our delicious deli trays today to impress everyone. 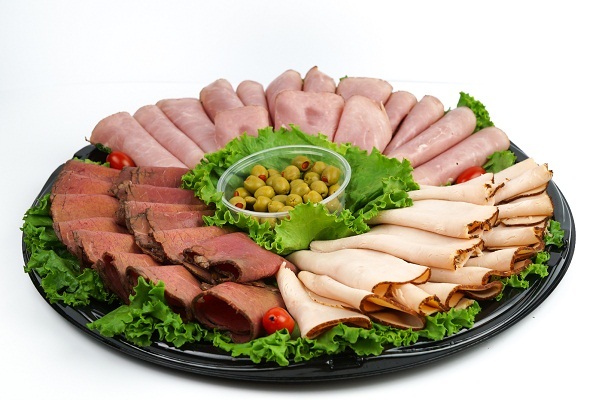 In fact, we specialize in made to order deli trays that are perfect for any get-together. Choose from cheese, veggie and fruit trays for a complement to our quality deli meats and cheeses. We have every combination to please every palate at your event. Come see Leeann, who runs the deli at Haddad’s. We are proud to offer the largest assortment around of delicious lunch meats and cheeses, homemade salads and desserts. Want something a little more formal and filling? We have freshly made hot and cold entrees too. Backed by top-quality service and deli meats, Haddad’s Market is your source for custom made party trays and sandwiches for any occasion. Not sure what to choose? Ask us and we’d be more than happy to help you plan your event. Our garnish trays make a nice complement to any of our trays, complete with all the fixings you need for your sandwiches. We give you the tomatoes, onions, lettuce and pickles to make your meal great. Come to us for freshly made entree meals by our full-time chef Mo. 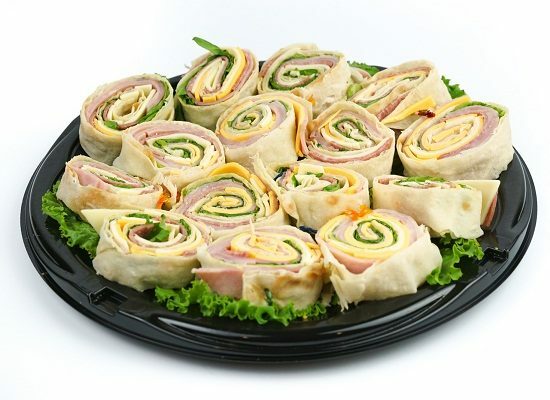 From sub sandwiches and wraps to finger sandwiches and deli meat trays, you know we have you covered for your next catering event. Just place your order today at 309-674-0040 or visit us at 2407 West Rohmann Avenue in West Peoria. Our hours are Monday through Saturday 8:00 a.m.- 9:00 p.m. and Sunday 9:00 a.m.- 6:00 p.m. We would be happy to cater your next party of any size!